What was your first impression of the item? : stylish, light-weight, comfortable, run true to size. The Terrex Swift boots are comfortable right out of the box and require little breaking in. I hiked Mount Baldy the first time I wore these boots! For anyone that has not hiked Baldy before, it’s a tough, 11 mile climb with a gain of nearly 4,000 ft! The Terrex Swift remained super comfortable throughout the trail—I didn’t suffer from any soreness or blisters after the hike! I particularly like the adjustable speed lacing. They stay permanently in place—no more tripping over untied laces! However, the wire does get a little stiff after the shoes have collected dust on the trail. Also, the Terrex Swift boots are completely vegan! The flexible, GORE-TEX® shell makes them breathable, yet resistant to water and mud. The rubber outsole has high traction grip, ideal for rocky and slippery trails. These have become my go to boots—I’ve hiked San Bernardino Mountain, San Jacinto and even Mt. Whitney wearing the Terrex Swift! Who knew a hiking boot could be cute, and stylish yet also completely functional and comfortable! The Terrex Swift boots really are the perfect lightweight boot fit for any tough trail. Jess Miller is a current member of our Los Angeles chapter. You can read more about her hiking adventures on her blog, http://jesslikestohike.com. 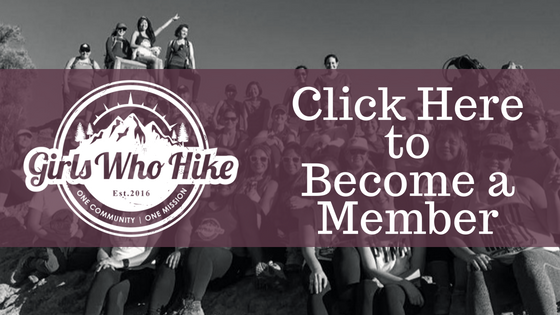 Sign up with your email address to receive news and updates about our Girls Who Hike chapters across the United States.